When it comes to user experience, and engaging with the brands we love, we’ve all mostly moved on from downloading individual business apps. Nowhere is this more obvious than in the food ordering world, where aggregation platforms like Uber Eats are fast becoming the Amazon of eateries. But what powers those systems? What makes your order travel seamlessly between your iPhone and the kitchen, then all the way back to your door? Platforms like Flyt, who was acquired this week by global food marketplace Just Eat for £22 million. A middleware service, Flyt allows hospitality retailers to connect orders from services like Uber Eats, directly with their POS, bypassing double keying and extra data entry by staff onsite and updating the kitchen instantly, who can begin prepping the food, shortening the kitchen to door estimated time. And you and I both know that is a big determinant about who we choose to order from. While a technology like Flyt might not seem like a game changer to you, for small businesses, who live and breathe on efficiency and reduced headcount, these services are basically pre-requisites for survival in the cut throat world of digital food. Mom and Pop processes and clunky systems will now see you out of business in the time it takes to heat a pot of pasta. Flyt may not be a household name, like Uber Eats, but it powers a good number under the hood, and it’s another example of how integration layers and platform connectors are embracing the huge opportunity that comes with the expansion of the digital food market. It’s an opportunity that can be realised without the added complexity of having to build a consumer facing brand, like Uber Eats. Services like Flyt haven’t forgotten payments. 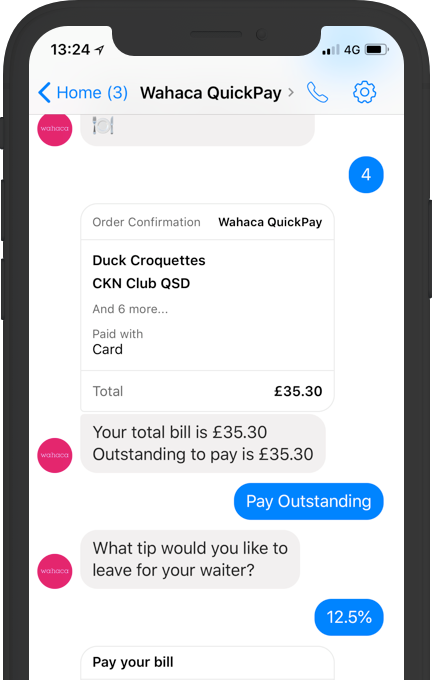 The platform has partnered up with global fintech Adyen to enable restaurants to create a customised chatbot for Facebook Messenger, that can take payment within the app. From a user experience perspective, it’s very straight forward. Open the app, select the restaurant location and enter your table number. Hey presto, your order appears, straight from the Point of Sale, and you can pay with your stored and verified payment option then and there. I’d go back to that restaurant, and hospitality venues know it. User experience on steroids. Plug and play logistics, ordering, payments and infrastructure makes starting a business all the easier these days. Perhaps soon it will be as easy to open a physical store as it is an online one, as the worlds merge closer and closer together. Previous Are Stock exchanges fast and efficient?